It is a 200 bedded multispecialty hospital with a 40 Seat nursing school, a student’s hostel and residential accommodation for doctors and staff with an investment of Rs. 950 million. 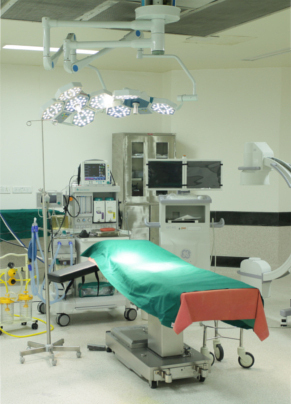 It has 8 major Operating Theatres covering all major surgical domains, Intensive care units with 50 beds across various ICUs, Advanced imaging facilities like 64 slice CT & 1.5 Tesla MRI, A well equipped triage and Pathology all under one roof. It has a 24 hour Emergency & Ambulance facility, Blood bank, Haemodialysis facility and 24 hour pharmacy to cater to public during odd hours. Today, ILS Agartala has won the hearts of the people of Agartala and the rest of North-East India with its brand of quality and affordable treatment.